Here’s what could be happening over the next 5 to 10 years. Take a look at my previous post about the changing media. I showed you two TV stations reaching out to their audience as a real service, answering their concerns and problems, while finding solutions for their audience while engaging the audience as part of the reporting team. First, this inclusive theme is not going away. It’s working already further capturing the audience on different devices and platforms. Second, this is happening in large cities. Third, many of these cities lean liberal while in conservative red states. Now let’s look at some political trends that will, in my estimation, cause lots of conflict and new forms of media bias. Many Republican legislatures are passing laws, some of which conflict with federal laws such as abortion, to consolidate even more power in states. Democrats and liberals are up in arms in these states. But give credit to conservatives and Republicans. They had a plan over the last 30 years to control almost every facet of government in the majority of states. Democrats in the 1950s and 1960s had the same thing. This will lead to a battle of liberal vs. conservative that will soon be urban vs. rural. Conservatives, it seems, are migrating or staying in rural areas. Liberals are flocking to the cities; that will include any new immigrants. In addition, companies needing workers will settle in cities where more technologically trained works will be. In addition, we are already seeing a trend to de-nationalize and give more control to state or local governments. Republicans are pushing hard for states’ rights. And despite the underlying racism trends we have seen in The South associated with states’ rights, there is a growing movement even among moderates to give more control to states. Some governors are showing the ability to manage their economies. Take Gov. John Kasich, R-OH, who has brought that state’s spending under control. But notice, some Ohio towns and cities will say Kasich has succeeded by shifting the burden to municipalities who have less say and must raise property taxes. Despite this, you will see more federal programs, like Medicaid, turned into federal block grants that will be administered by the states. Here’s where that battle will escalate into a new phase. Republicans won’t allow states’ rights to power down into the cities. But the cities will fight back with more consolidated economic power and population. This will cause a massive battle between the cities and the hinterlands. It won’t be pretty. The GOP will have the upper hand over the next decade since they control most state houses and legislatures. Plus, the rural bias of the Electoral College will probably keep Trump or other GOP candidates in the White House for a while. But they will eventually look hypocritical denying local power after winning it from the feds. That’s where television/media companies in big cities will have the biggest effect, possibly characterizing rural folks as the enemy. These TV stations will have larger advertising revenues compared to media outlets in the farmlands. 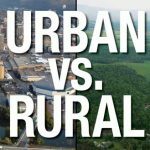 And since these urban media outlets will want to please their audience, you will see big city TV stations become antagonistic to rural interests especially if state lawmakers are voting against the cities. Won’t the hinterlands have their own media outlets? Sure. You will start seeing individuals creating their own TV news outlets. I already show you how. Undercover Jetsetter is our travel, food, wine, spirits, and golf show that is shot, edited, and delivered off the iPhone. We have no production staff to pay or bosses to tell us what to do. Thanks to technology, these rural outlets with individual voices will start popping up in rural areas. Instead of the look of a major media company, like in the cities, these rural outlets will resemble AM-talk radio with a mix of different voices with different slants and biases, but still fighting the cities. 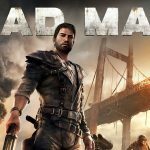 Hopefully it won’t get Mad Max ugly. But where does it go from there and how does it affect the nation? This might blow your mind. But it could mean the end of the United States as we know it. No I am not talking insurrection. I am talking about gradual changes in our lifestyles thanks to technology. Let me take you back 15 years to a conversation I had with John B. Alexander. 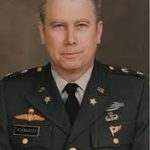 John is a PhD, a retired colonel in the U.S. Army. 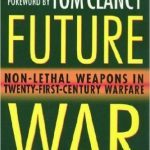 He has written numerous books on weaponry and the future of war. In one of his books, he talks about the end of the end of the nation-state as we know it now. I know. It is jarring at first. But think about the changes in the past 5 years. Look what cloud technology has done for the medical industry and communications. John believes that technology will bind people together into different communities based on their needs, likes, and concerns — not by geography. Technology could allow us to be in contact with someone with similar interests living in a country half-way around the world. If that is how we will join and form our communities then maybe our current political and civic order might be obsolete? I could be stretching a point here. But it is beginning to look like that as we try to weaken certain aspects of the federal government over our lives. Give me your thoughts on this. What are you seeing in your area? Previous post: News Media Changes Coming. And it is good.